The lived life is dead. Long live the lived life. “My feast is elsewhere.” A castaway from the Newfoundland, Greene offers a world whose immediate weights and concerns are always traversed by presences, energies or sources of empowerment, from away: a traveller on the Newfoundland ferry finding his legs at sea, “between homes”; immigrants in Toronto’s St James town, working to send money home to loved ones in native lands; a Nantucket whaler come home to find his own property cut off from him; people variously withdrawn from an original identity. Greene is very particular, so to speak, about his subject matter. There has to be nothing there, or seem to be. The poem must appear like one of the three or four last fishing boats at anchor in St. John’s, “roped to the wharf waiting for a good year.” We arrive in aftermath, like poems coming belatedly to the vast antecedent modernisms, long-since plundered. Displacement in space. Belatedness in time. To work with leavings. To some afterness that will reward and bless . . .
Until their boats brimmed with silver thrashing. The line itself, like the scene evoked, twists inside its threaded nettings, every word — the diction, the positioning — a writhing from itself. 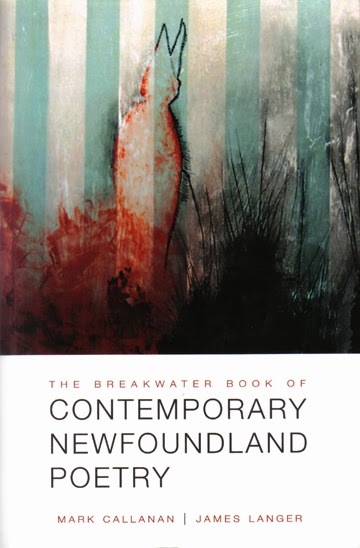 Newfoundlanders in the big smoke are ironically “from away,” away from where they continue to find their imaginative roots. This is a poetry seasoned by the Rock; like Michaelangelo’s unfinished Dying Slave, it gives the impression of wriggling in its stone footings. It stays there and it leaves. Jeffery Donaldson is the author of five collections of poetry, most recently Guesswork (Goose Lane, 2011) and Slack Action (Porcupine's Quill, 2013). He teaches poetry and American literature at McMaster University.